Internal Combustion : F. C. Hibberd petrol loco "Ivan"
This small locomotive was built by F.C. Hibberd & Co. of Park Royal, London in 1948, Works No. 3317. Powered by a Ford Popular petrol engine it has the luxury of electric start. In 2011 it was given an overhaul and was shown to be in a good working condition. It was delivered new to the Kempton Park Works of the Metropolitan Water Board and was obtained from the Thames Water Authority arriving at Toddington in May 1985. 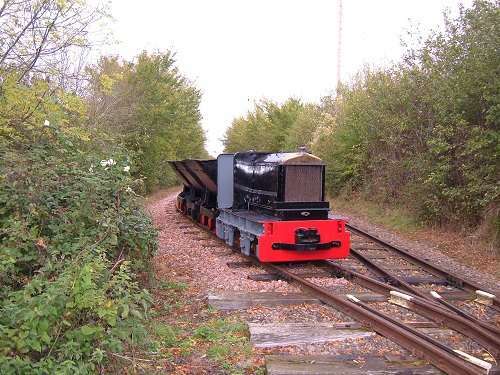 For further information about the Toddington Narrow Gauge Railway please contact us by email at info@toddington-narrow-gauge.co.uk, or come down and have a chat with us on site.